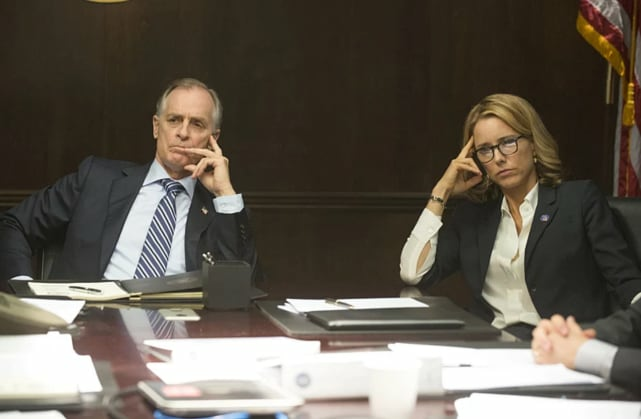 As Madam Secretary Season 5 wraps up, Elizabeth is preparing to run for President to succeed Dalton, her friend, and mentor who is approaching the end of his second term. Dalton has not been a perfect President over the five years he's been on-screen, but he has had some fine moments. We've picked out what we think represents him at his most Presidential. Check out our slideshow and then share your favorites! Need to refresh your memory? Watch Madam Secretary online! Dalton can sometimes be hawkish, but Elizabeth learned quickly how to talk him out of his need for quick, decisive action on the world stage. 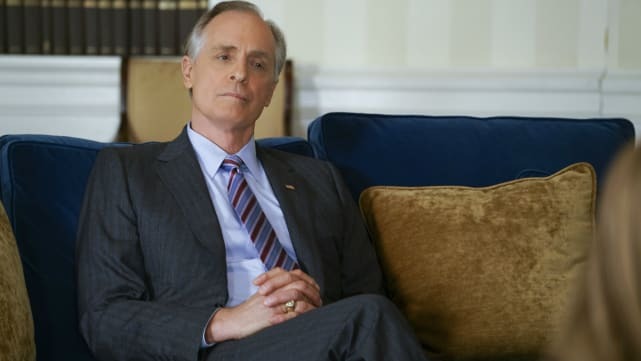 On Madam Secretary Season 1 Episode 5, he agreed to hold off on an airstrike against Iran for 24 hours even though the strike would help cement his legacy so that Elizabeth could try one last time to find a peaceful solution. Despite Dalton's loss of temper with Elizabeth, in the end he put the greater good over his political aspirations. 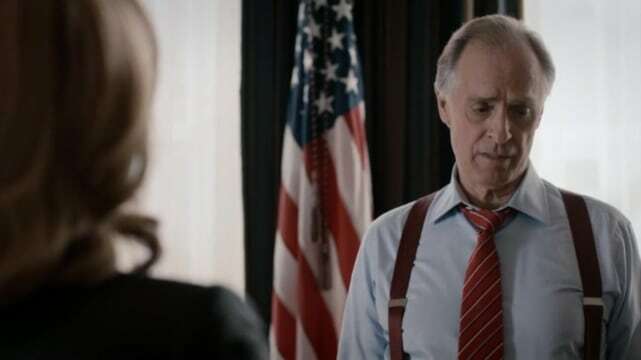 On Madam Secretary Season 2 Episode 7, Dalton supported Elizabeth's attempt to lift the US embargo against Cuba despite Congressional disapproval and an advisor that was determined to sabotage Elizabeth's plan. Sure, he was motivated at least partially by how good it would make his administration look to achieve this historic change, but there's no doubt what he was doing served the greater good too. Dalton got involved in the quest to confront Maria Ostrov, the new leader of Russia who had murdered her husband, on Madam Secretary Season 2 Episode 10. His goal was to force Russia to cooperate with peace talks, using this information as leverage. Dalton also had to make the difficult decision to give up Dmitri, Henry's student turned spy, to get Ostrov to play ball. All of this came at a great price, too, as the Russians attacked the Presidential limo and could have succeeded in murdering President Dalton. 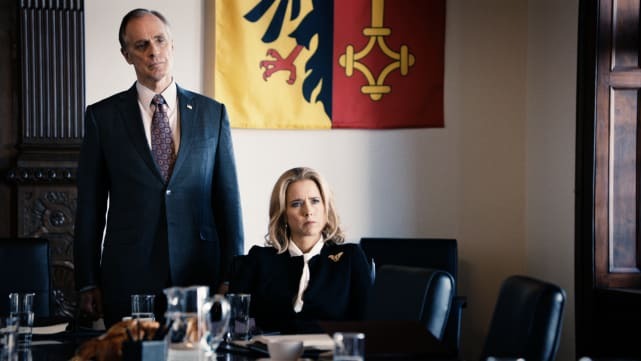 Presidents need to make difficult decisions in the name of national and international security, and Madam Secretary Season 2 Episode 21 was no exception. Dalton had to decide what to do after receiving a tip that a terrorist leader was hiding in Pakistan. Not only did Dalton have to make split-second decisions about how he wanted to handle a number of situations, but he also had to make the difficult choice to ask Henry to join the mission -- something Elizabeth wasn't happy about. 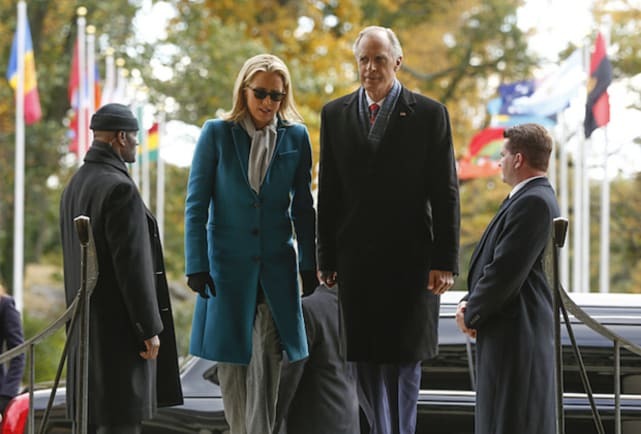 On Madam Secretary Season 3 Episode 1, Dalton faced a primary challenge as well as pressure from Elizabeth to address the issue of climate change. Russell advised Dalton against mentioning climate change because it might hurt his re-election chances, and at first Dalton went along with it, but after hearing Elizabeth's passionate speech on the matter he again decided to put principles over political ambition and risked his career by taking a stand at a primary debate. By Madam Secretary Season 3 Episode 8, the primaries were over and Dalton was running as an independent. He had to make yet another controversial decision, this time involving Russia helping Iran build nuclear weapons. He knew that taking action against Russia could destroy his re-election chances, but he also knew he had to protect the US from a possible nuclear war. He again put principles over political ambition, going ahead with action against Russia despite public disapproval.